Experimenting with Cascade hops was really my first BrewGround before my BrewGround was really a thing. It seems the use of Cascade hops in homebrewing is really quite popular. Perhaps that’s because the Cascade hop is one of the most widely used hops in the craft beer industry. My goal with this BrewGround was to determine what impact the Cascade hop has on aroma and flavor given its popularity. Given it’s wide use, would this hop be something I would want to continue to use in the beers that I brew? The Cascade hop is a dual purpose hop, often used to add aroma, but can also be used on the bittering side. Cascade is known to provide floral, spice, and citrus qualities and is said to provide a strong grapefruit character. Cascade is by far the most used hop when it comes to craft beer. If you’ve had Sierra Nevada Pale Ale, you’ve tasted or smelled Cascade as that’s the only finishing hop they use. As I mentioned in my Amarillo hop BrewGround, I’m a sucker for that Citrus punch a hop can bring out, so I was interested in seeing what the Cascade hop would bring out in a single hopped Pale Ale. I decided to do this BrewGround using a Pale Ale recipe, to really try and highlight the single use of the Cascade hop. Luckily I didn’t skimp too much on the hop addition as I did with my Amarillo Wheat Ale, so hopefully that will highlight the aroma and taste profile a bit better then my previous go. I used a pretty simple recipe of Pale Ale malt along with some Vienna to provide some additional flavor. That’s it! Using my standard BrewGround process, I brewed up a 1.2 gallon small batch to highlight the Cascade hops profile. After 7 days in the primary, I bottled and let the beer condition at 64 degrees for 3 weeks before tasting. This was a very good beer. Yes it was single hopped, but had a great overall taste that was very balanced between malt and hops character. I was expecting a very pronounced grapefruit character, both in smell and taste, given the descriptions I’ve read of the Cascade hop. What I did get was more floral then citrus, all very subtle, not one character overpowering the other. The citrus aroma and taste should shine grapefruit, but I wasn’t really able to pick that out. While I did get some citrus, I really wasn’t able to distinguish if it was grapefruit, orange, or lemon. I smell floral, not overpowering, but definitely floral. Citrus comes through as a secondary aroma. As I stated above, I really wasn’t able to pick out a grapefruit characteristic as I can with say the Citra hop. In hindsight, I should have done a dry hop charge, or a bigger addition at flameout to get a more pronounced aroma from this hop. This was a very pleasant beer to drink. This Cascade Pale Ale was very balanced between the malt and hop taste, exactly as I like my beers. Given that I did this before my BrewGround was born, I would have tried to go with a more hop forward profile. May need to try and revisit this at some point. For the Cascade taste, as with the aroma, it was more floral then citrus that I was picking up. Again, nothing overpowering, all very pleasant to the palate. Wasn’t picking up the grapefruit taste, but there was a slight hint of citrus on the backend. I can see why the Cascade hop is so popular in the craft brewing world. As I did this sampling before I dreamt up my BrewGround process, I didn’t think about having some independent folks try out my Cascade Pale Ale. Well, technically they did try it, but I didn’t have them evaluate the hop characteristic of the beer. Would I Use The Cascade Hop Again? I loved the flavor and aroma the Cascade hop imparts on a beer. Not overly hoppy, and it has quite the perfect taste. 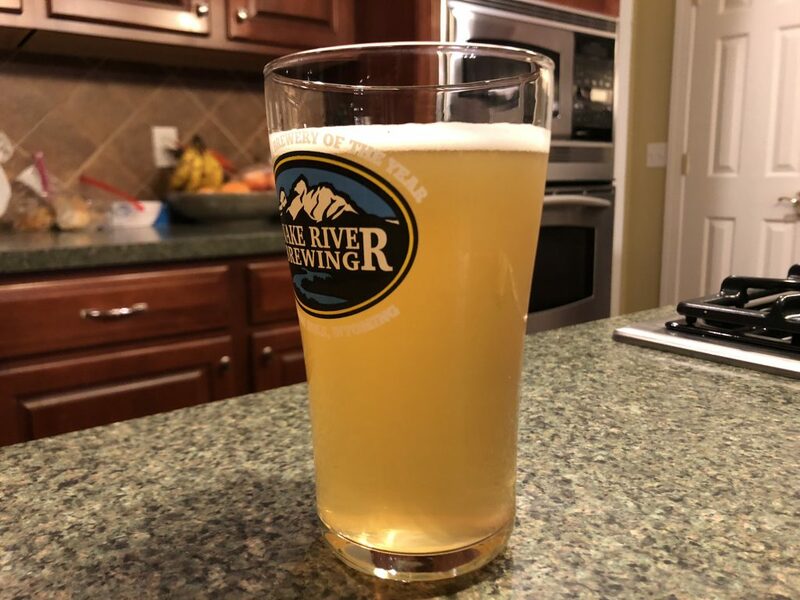 I recently brewed a Centennial Blonde Ale, and it had a decent dose of Cascade hops to provide some balance to the Centennial. Absolutely loved that beer, and probably one of the best beers I’ve brewed to date. Cascade will be part of my brewing pantry, and something I want to have on-hand in case the need arises. I think this would be a great compliment to either the Centennial or Citra hop.